What would healthcare communication look like if cutting-edge game and simulation technologies merged with the accuracy and beauty of medical illustration? 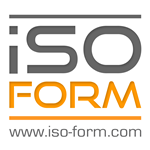 iSO-FORM was launched as an answer to that question. By using the latest innovations in game development technology, digital storytelling, and biomedical visualization, our teams create exceptional mobile apps, web experiences, kiosk displays, illustrations and animations. Our mission is to bring the beauty and science of medical visualization to life through engaging and meaningful interaction; to bring function to form. MAXON CINEMA 4D, considered one of the fastest growing and widely used solutions for content creation, is a fully integrated 3D modeling, animation and rendering package. It delivers superior image quality, handles millions of polygons, offers unlimited objects, lights, materials and animation tracks, and seamless capability for Macintosh and Windows. CINEMA 4D possesses rock solid stability, incredible display and render speed along with an ease of use unparalleled in 3D animation software packages. With its modular configuration, CINEMA 4D offers everyone, from the novice to the seasoned professional, the opportunity to purchase only the tools needed. Barrow Neurological Institute in Phoenix, Arizona, is internationally recognized as a leader in neurological research and patient care. We treat patients with a wide range of neurological conditions, including brain and spinal tumors, cerebrovascular conditions, and neuromuscular disorders. Barrow's clinicians and researchers are devoted to providing excellent patient care and finding better ways to treat neurological disorders. Established in 1998, INVIVO is an award-winning interactive agency that provides innovative digital solutions exclusively to the global pharmaceutical and medical device industries. A unique combination of science, user-centered design principles and leading-edge technologies allow INVIVO to deliver custom solutions such as 3D medical animation, mobile apps and medical games for doctors and patients. 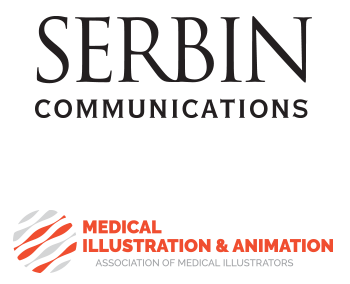 A publisher of marketing resources, printed talent directories and websites for commercial illustrators and photographers, Serbin Communications has partnered with the AMI for over two decades to produce the annual Medical Illustration Sourcebook and the companion portfolio site medillsb.com. The upcoming Medical Illustration & Animation No. 29 showcases over 130 top medical illustrators, animators and multimedia artists. It will be distributed in September, 2016 to art directors in advertising, medical publishing, pharmaceutical and biotech companies, and other healthcare markets in the U.S., Canada and Europe. Artery Studios is a recognized medical illustration and animation studio specializing in visual solutions for personal injury litigation and medical device marketing. Breaking down complex concepts into easily understandable messages, Artery’s team of professionally-trained medical illustrators crafts every project with a focus on accuracy, clarity, and beauty. Headquartered in Toronto, the studio is Canada’s largest demonstrative evidence provider and has helped legal clients win cases and achieve larger settlements for over 2,000 files. For almost 25 years, Artery Studios has been at the forefront of medical visualization, providing unique solutions that elucidate trauma medicine and advances in healthcare. We communicate important concepts in science and medicine with beautiful, accurate visuals. Our goal is to enable our clients to engage, inform and inspire their audiences: medical practitioners, patients, investors and other stakeholders. Every day we see the value that our training and high professional standards bring to our clients. AXS Studio is proud to sponsor the AMI. After all, we're members! ZBrush is the 3D industry's standard digital sculpting application. Use customizable brushes to shape, texture, and paint virtual clay, while getting instant feedback. Work with the same tools used by film studios, game developers and artists the world over. Wacom inspires and equips people to make the world a more creative place. S&A Medical Graphics is the nation’s leading creator of demonstrative evidence for the defense of medical malpractice litigation.